A majority of Pennsylvanians still support the natural gas industry, but a new opinion poll shows the number of people concerned about its environmental impact is growing. A Franklin & Marshall/StateImpact Pennsylvania poll found that 50 percent of respondents said they support the gas industry — while 42 percent say they don’t. But dig a little deeper, and another picture emerges. In the latest poll, conducted in late March, 55 percent say the environmental risks of fracking are greater than its economic benefits. A few years ago, that number was in the 30s. “That’s a real change,” said Berwood Yost, director of the Center for Opinion and Research at Franklin & Marshall, which conducted the poll. He thinks more people worry about the environmental risks of fracking now because the economy has improved, and because of reports of the industry’s environmental impacts. “Now the economy is a little better, there’s been more negative publicity around fracking and the environmental damage it can create — I think that’s in part driving this change,” he said. The leader of the state’s largest natural gas trade group said the poll shows that the state generally favors more shale gas extraction. 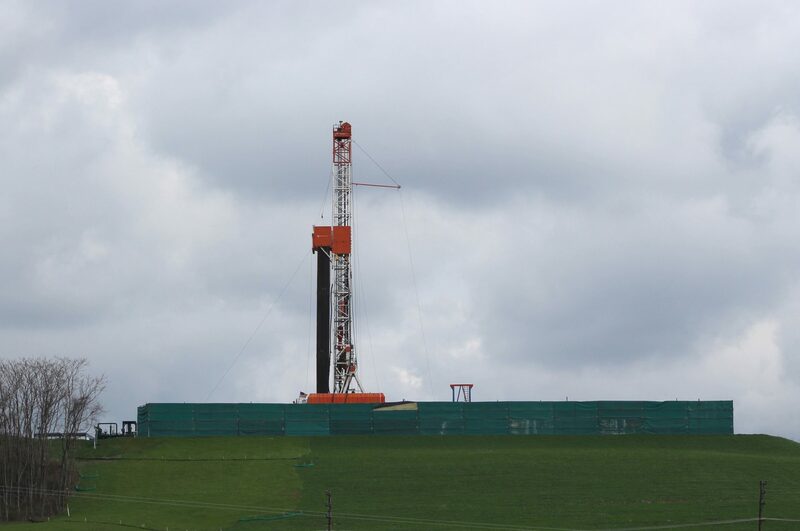 But Ashleigh Deemer, Western Pennsylvania director for the environmental group PennEnvironment, said the poll shows that the public is more and more skeptical of the industry.